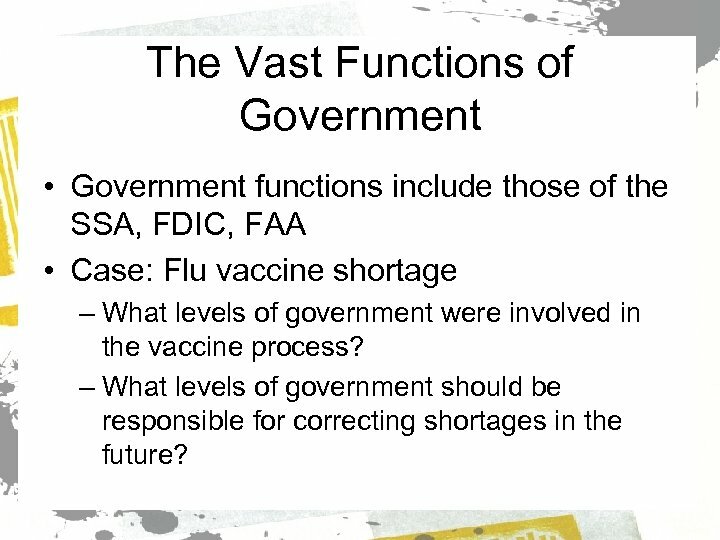 The Vast Functions of Government • Government functions include those of the SSA, FDIC, FAA • Case: Flu vaccine shortage – What levels of government were involved in the vaccine process? 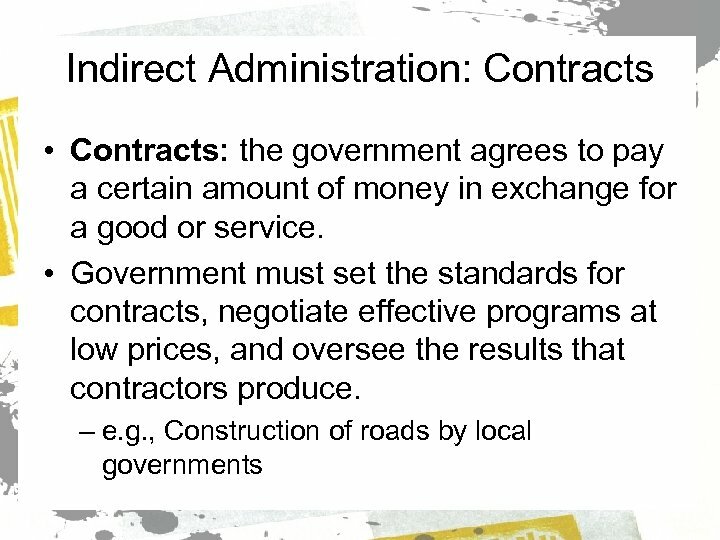 – What levels of government should be responsible for correcting shortages in the future? 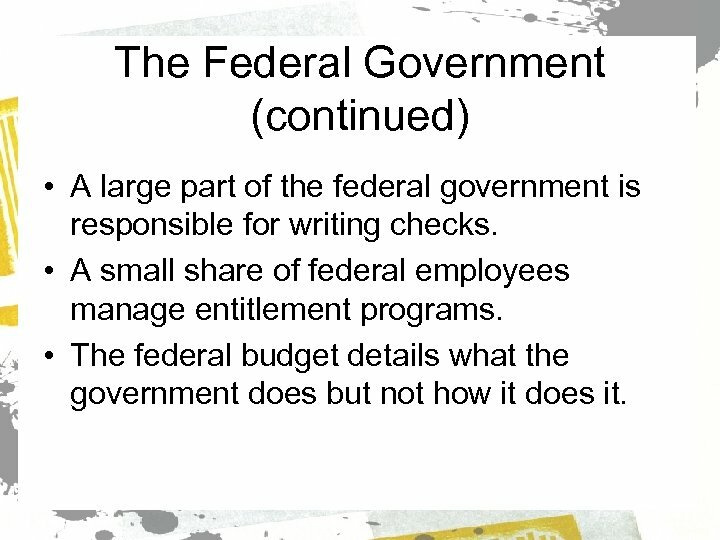 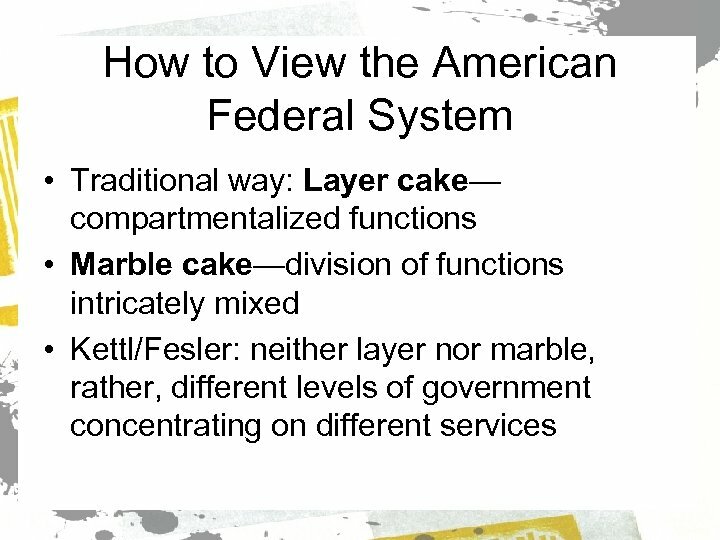 The Federal Government (continued) • A large part of the federal government is responsible for writing checks. 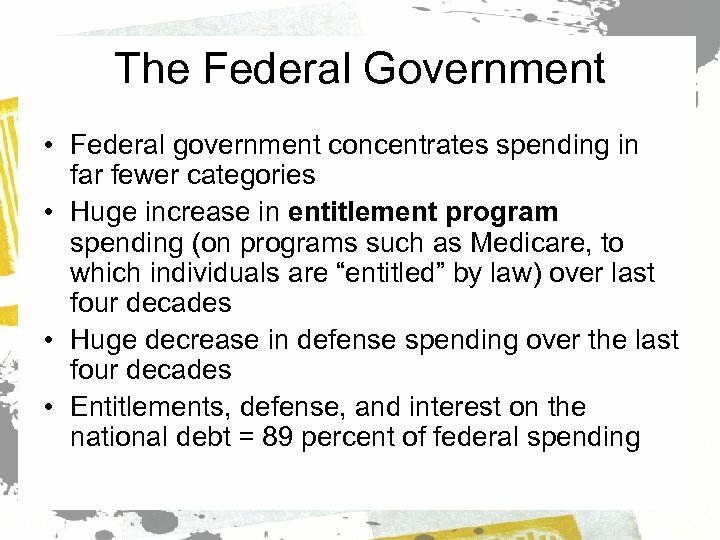 • A small share of federal employees manage entitlement programs. 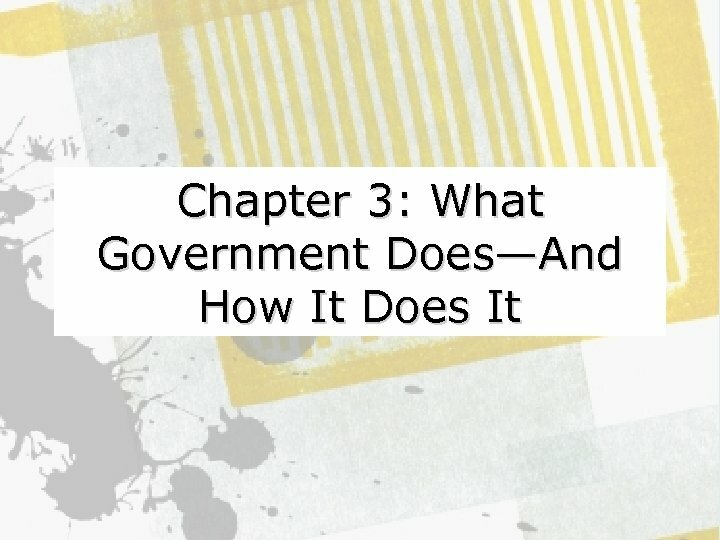 • The federal budget details what the government does but not how it does it. 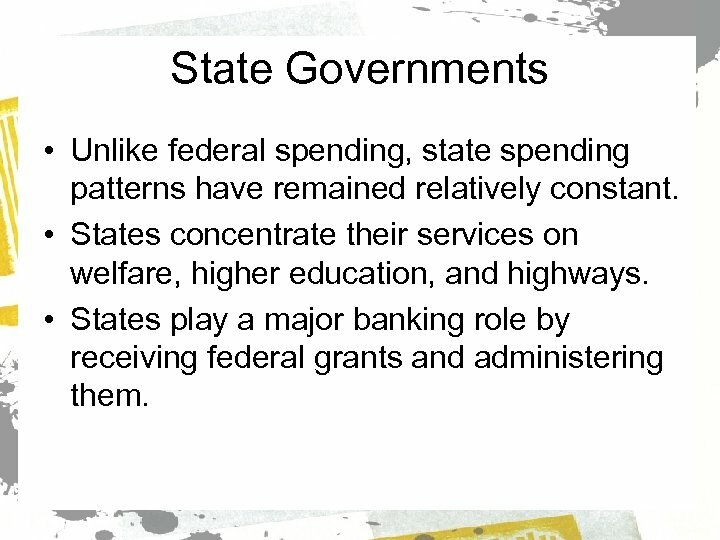 State Governments • Unlike federal spending, state spending patterns have remained relatively constant. 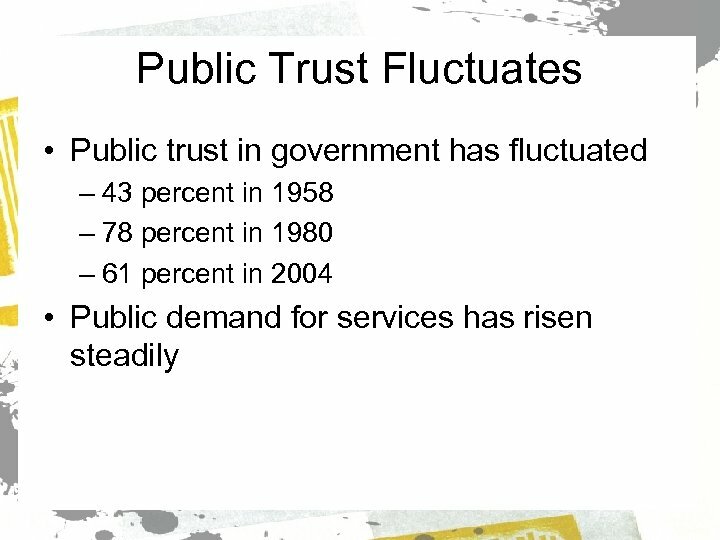 • States concentrate their services on welfare, higher education, and highways. 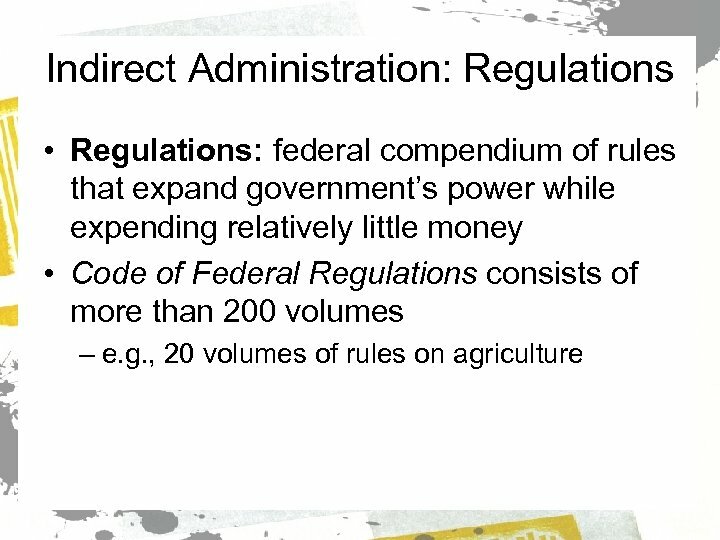 • States play a major banking role by receiving federal grants and administering them. 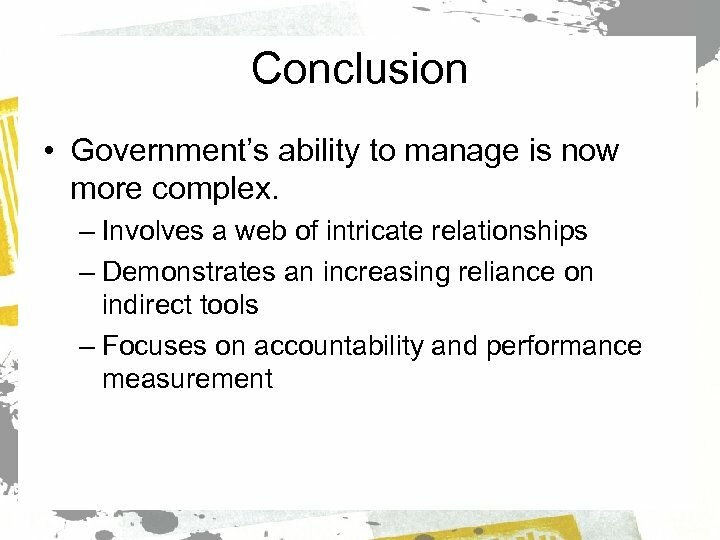 Government Growth among Levels • There is disagreement on how to measure government growth. 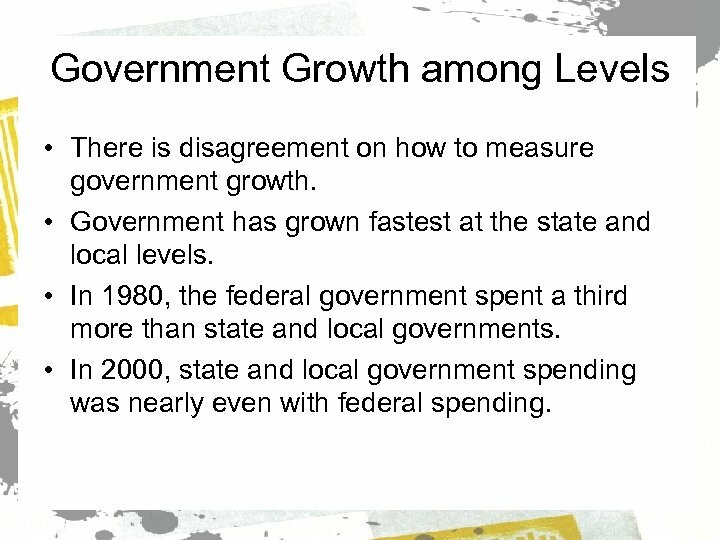 • Government has grown fastest at the state and local levels. 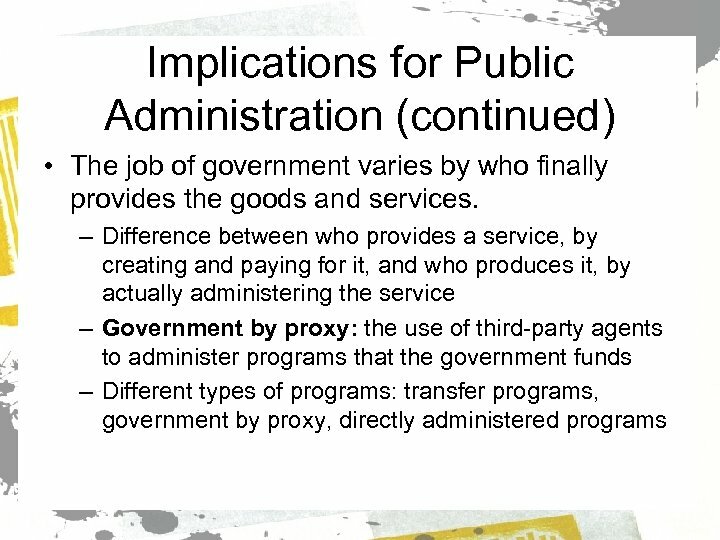 • In 1980, the federal government spent a third more than state and local governments. 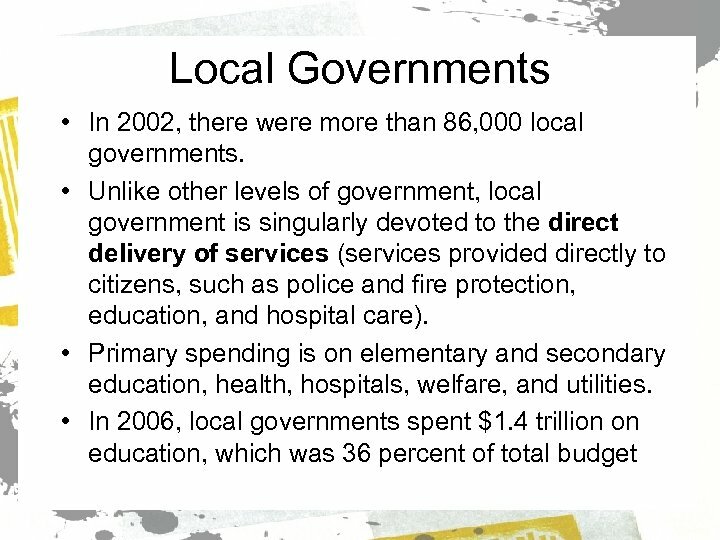 • In 2000, state and local government spending was nearly even with federal spending. 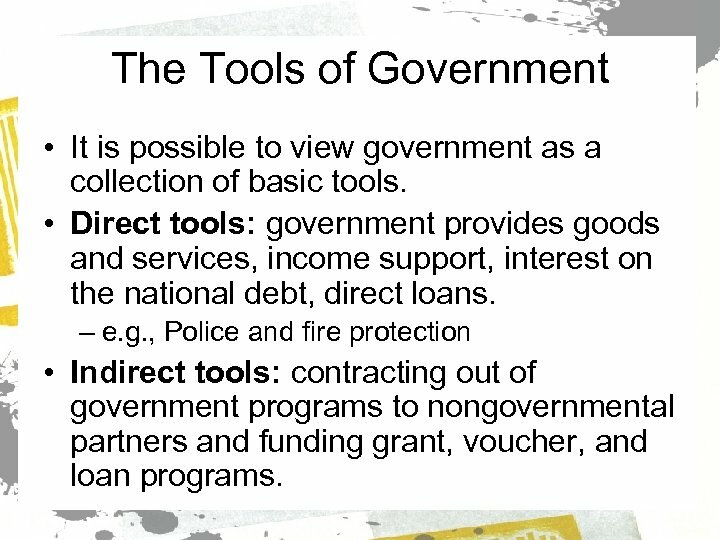 The Tools of Government • It is possible to view government as a collection of basic tools. 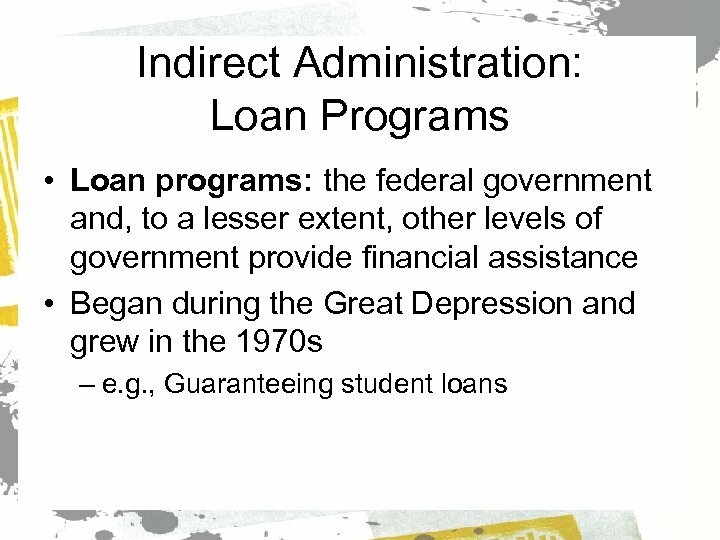 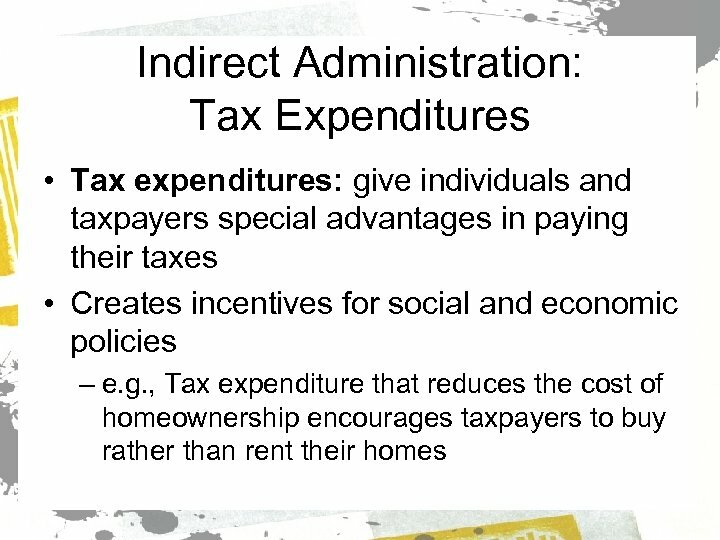 • Direct tools: government provides goods and services, income support, interest on the national debt, direct loans. 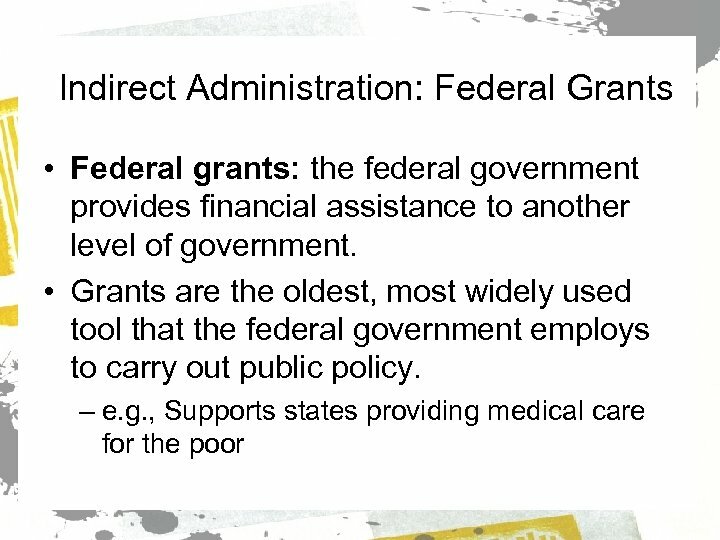 – e. g. , Police and fire protection • Indirect tools: contracting out of government programs to nongovernmental partners and funding grant, voucher, and loan programs. 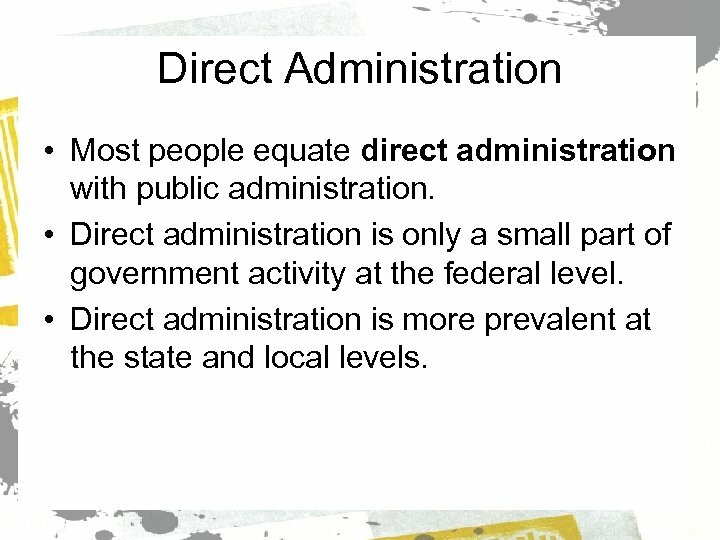 Direct Administration • Most people equate direct administration with public administration. 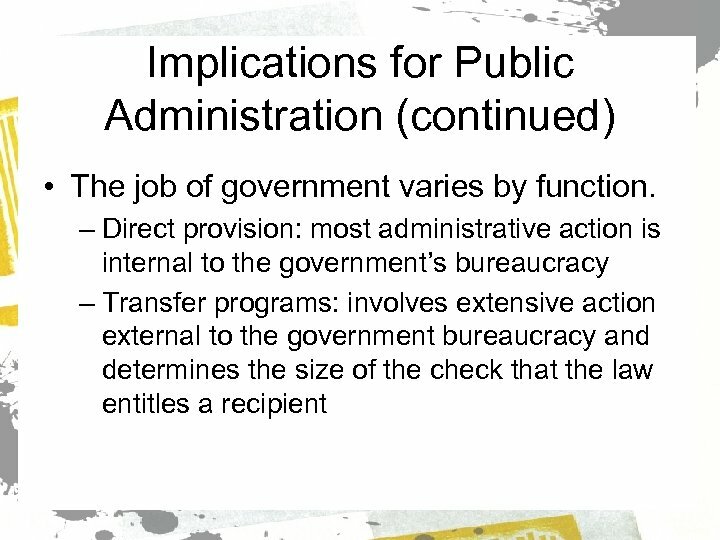 • Direct administration is only a small part of government activity at the federal level. 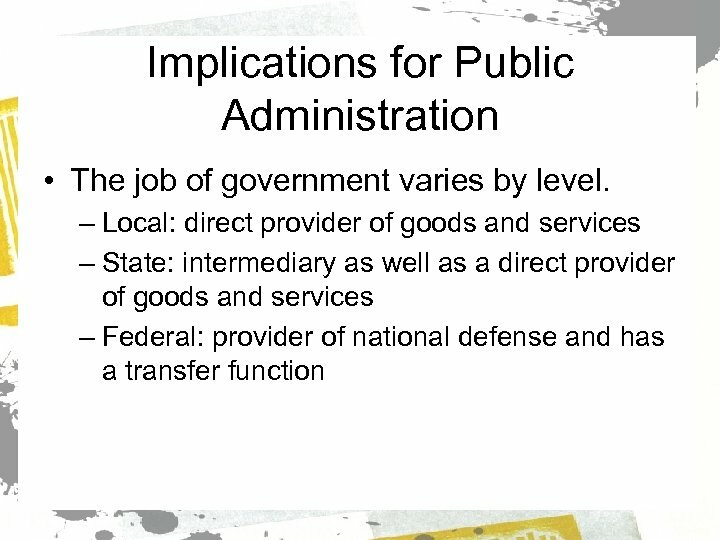 • Direct administration is more prevalent at the state and local levels.